The client just went through a SharePoint 2010 to 2013 upgrade and Explorer View was working for some site collections and not others. This was reproducible on a Windows 7 Client with IE 10 or IE 11. We also did a test on Windows 10 and everything seemed to work there (Web Client must act different in the new OS). The open with explorer would work for 1-2 times after restarting the Web Client service. Then it would start prompting to add the site to Trusted Sites. Then after restarting Web Client this process would start all over again. After some investigating I noticed something interesting in the Fiddler Traces..
Any site collection under the /sites/ wildcard managed path was working correctly and any of the depts site collections were not. 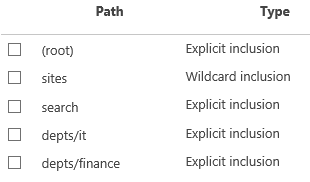 WebDav is smart enough to honor wildcard managed paths, but does not work with “nested” explicit inclusions as it tries to hit each level of the URL.. Ran into a unique issue today so I figured I’d blog about it! 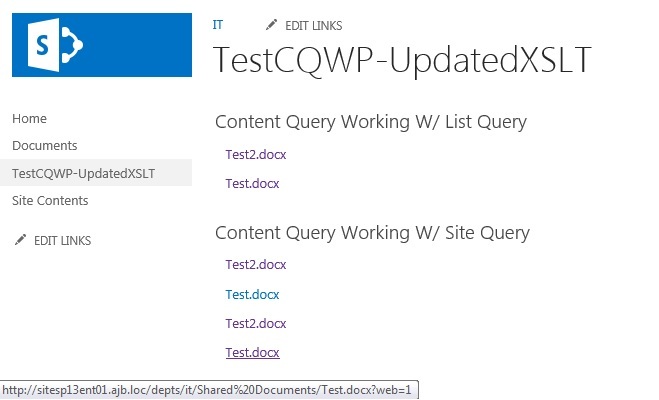 This was only affecting site collections with the SharePoint Publishing Infrastructure Feature enabled. I created a new site collection with Team Site template and that loaded fine until the Publishing Feature was activated and then it started to load w/ errors. 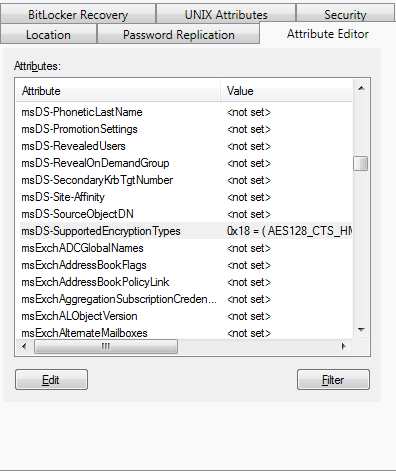 DelegateControl: Exception thrown while adding control ‘Microsoft.SharePoint.Publishing.Navigation.PortalSiteMapDataSource’: System.InvalidOperationException: Operation is not valid due to the current state of the object. I double checked the Object Cache settings for all web apps and everything looked good. $wa = Get-SPWebApplication -Identity "http://webappurl"
After that I ran the commands to re-add the Object Cache (SuperUser/SuperReader) accounts and everything was still working. A few days earlier the application pool account for this web app expired and was reset to the original password, which may have had something to do with this. Looks like it just needed a little reset of the Object Cache accounts and everything was back up and running! Doing a little bit of research this page is used when utilizing ADFS/ACS. 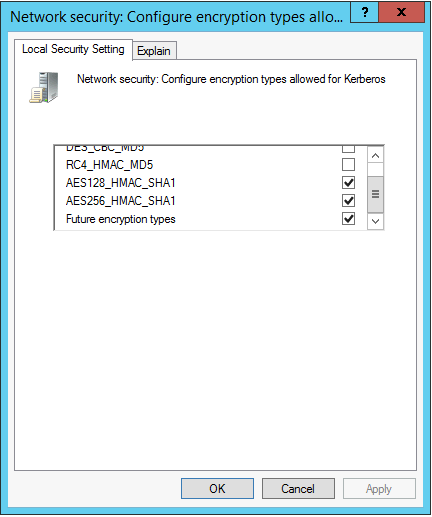 Interesting part about this is it worked on 2 out of the 3 servers and the server affected worked with Windows Integrated login. I checked a network trace on a working server and saw that after it hits the /_trust/default.aspx it redirects to the ACS URL (https://acsname.accesscontrol.windows.net) and then redirects to https://accounts.google.com/ServiceLogin. I was able to hit both of these URL’s individually on the non-working server. I popped open IIS on the problematic server and noticed something interesting. 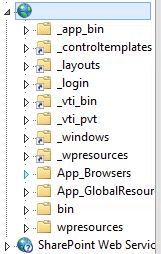 The _trust IIS Virtual Directory was missing! Big surprise, the other 2 (working) servers had this Virtual Directory. Running the provision PowerShell method fixed the issue..I’m really digging this command lately. Thanks Jasper for the tip! Some sources day a server reboot would fix the issue, but that’s no fun. 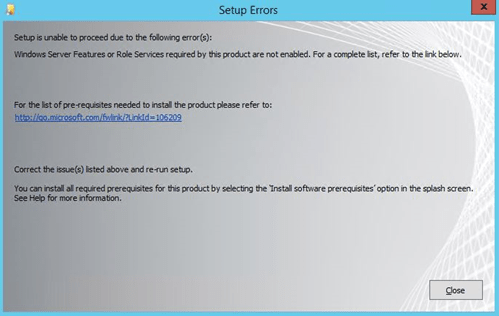 I did some digging and found that restarting the SharePoint Search Host Controller Service fixed the issue in this case. This worked at the web app URL root, the site collection root, but was giving a 500 error at a specific subsite. There was a subsite underneath the affected site and that one loaded up just fine as well..seemed to be isolated to one site. It was none of these..pretty small site with nothing too crazy for naming or anything like that. Turns out the user created a list and gave it the same displayname as another list on the site (URL’s different..sharing the same displayname). This caused the entire site to throw a 500 error when accessing it with listdata.svc. Even when explicitly going to a list on the site that wasn’t affected. Once the user switched one of the lists to <listname> (old) everything started working. Add it to your SP Admin tool belt!